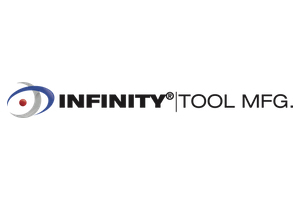 Infinity Tool Manufacturing produces an industry-leading line of PDC Bits, Hole Openers, Down the Hole Bits, HDD consumables and drilling accessories. We have a state of the art manufacturing facility and an outstanding engineering team located in Benton, Illinois, which enables us to produce high performance products to any specification. This ensures our customers achieve their production goals and complete their jobs in a timely manner, saving them time and money. We are a registered ISO 9001:2015 company, which means we have several checkpoints to go through in order to ensure our product quality is at it’s very best before it makes its way to our customers. Our excellent sales team’s knowledge of the industry can provide our customers with expert guidance and outstanding technical support 24/7. Our in-house engineering team designs and manufactures our products and parts to our customers ever-demanding needs; this, coupled with the latest in machining technology, ensures Infinity can make even the most complex designs a reality. Last year, we expanded our facility with an additional 20,000sq. feet – taking it to 45,000sq. feet – as well as adding several new CNC machines to our manufacturing line, ensuring we can meet the high demand for our product.